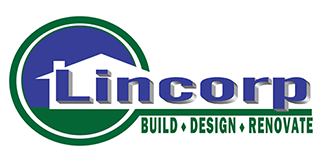 Lincorp Borchert was a phenomenal construction company to work with. From design to on-site job completion was wonderful. Very professional, very responsive, and quality work was performed. I highly recommend this company. Overall, very pleased with the quality of work and professionalism with this company. Excellent communication during the design and renovating stage. Contractors used were very professional. Worked within our budget. We had a bathroom rehab done by Lincorp. The job was done on time and within the contract budget. The quality of the workmen was excellent as was the work product. The only hiccup on the project was that the edging on the countertop was not as we expected. Mr. Jedwab stood behind the work and made sure we got the edging we expected. It’s exactly what you want in a contractor. My wife and I were so happy after Lincorp Borchert remodeled our kitchen and bathrooms with all new cabinetry and fixtures! The owner was always on the site giving us up dates and his work was completed by the promised date. We were so surprised that once the project was completed that his own cleaning crew came in and cleaned everything for us. Lincorp Borchert did a great job on our kitchen remodel. Everything was done in professional manner and in a timely fashion. Any concerns we had were addressed. I really liked the calendar app used. I would highly recommend Borchert and hope to use them in the future when we are ready for the next project.